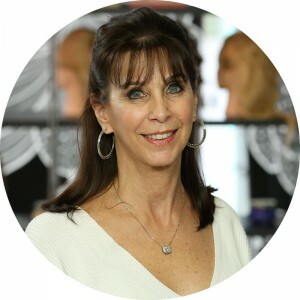 Linda Leinweber has been working with hair loss issues for over 20 years. She is very sensitive to her clients’ needs, wants, and privacy. Many times our clients have questions when deciding which option is best for them. Linda is available by contacting her or by appointment in her salon to answer your questions. This is probably the most asked question we are faced with – “Why did I lose my hair?” The answer lies within yourself actually! I always tell my clients, “You know your own body better than anyone.” Often you can identify certain circumstances that can trigger hair loss such as other members of your family that have experienced hair loss, illness or medications that have hair loss as a side effect, extreme stress which can result in hair loss, or pre-menopause, menopause or post menopause for women, or if you have been diagnosed with alopecia. You are not alone! Whatever you are going through in your life, we can help you look great and feel normal. I like to have a thorough conversation during our consultation so that I can understand if your hair loss is temporary or permanent. During the consultation, I will determine through our conversation your particular problem resulting in your hair loss. I will show you samples of our base material that our systems are made of and the quality of our hair. We will then discuss your new style and your lifestyle so that we can determine the proper attachment method, the care of your new hair, and monthly maintenance at our salon, if necessary. I will then determine if a stock piece can work for you or if we need to order a custom system. How long does a custom system take to come in? Usually 4-6 weeks for a custom order which also requires a 50% deposit from our manufacturer. Stock systems can usually be delivered within 1 week. How do you match my hair to the system? I work with over 6 different companies that manufacturer different types of hair i.e. different textures, various color tones, companies that are better at making women’s systems or men’s systems and those who may specialize in ethnic hair. Each company has dozens of colors available to match the clients existing thinning hair or if it is not perfect, then we must color the clients hair… the system cannot be colored as a rule. How do I maintain my hair at home? If you have a permanent attachment, you may shower, shampoo, condition, blow-dry and style just as you would with your own natural hair. If you just tape or clip your hair system on, you should shampoo the system off of the head holding it from the front of the system and shampoo lightly and condition. It may then be re-attached and styled as usual. Use styling gels and hair spray sparingly. Don’t over use curling irons or flat irons. NEVER EVER GO TO BED WITH A WET HAIR PIECE!! How often do I need to return if I have a permanent attachment? Usually 3-5 weeks depending on how oily your scalp is. An oily scalp will shorten the life of the attachment solution. We remove the system, clean it, cut and color your hair if necessary and then reattach the cleansed system. How often will I need to replace my hair system? That will depend on the specific type of hair piece we order and will be discussed at the consultation.